Let the European tour continue! More from my trip last week! 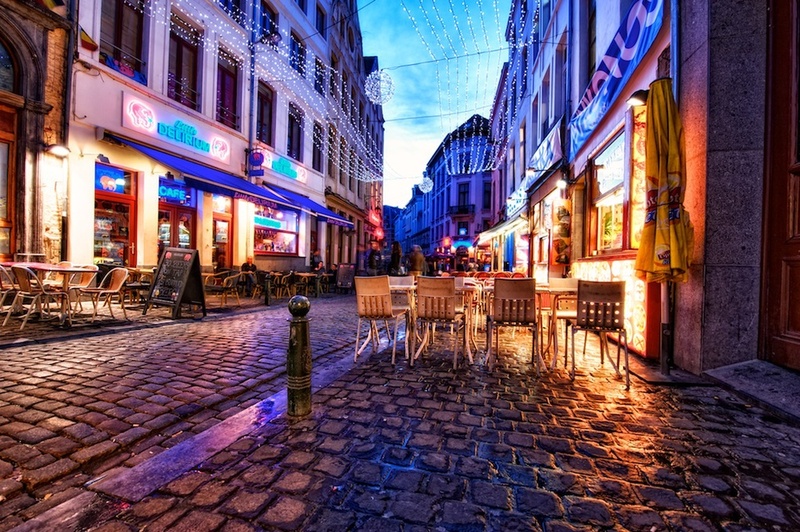 This time - lovely Brussels, Belgium! Brussels is an incredible town. I was first there over 10 years ago, and it always stuck with me as "one of those places". A lot of the reason for that is Grand Place, which is their town square. It's an incredible sight, and yes I have a LOT of photos from there that will make their way onto the blog here. But first I have this shot, which is actually from less than a block off of Grand Place. It was blue hour, and I was wandering the streets. I just loved all the lights here so I waited for most of the folks to clear the scene and fired off some brackets!